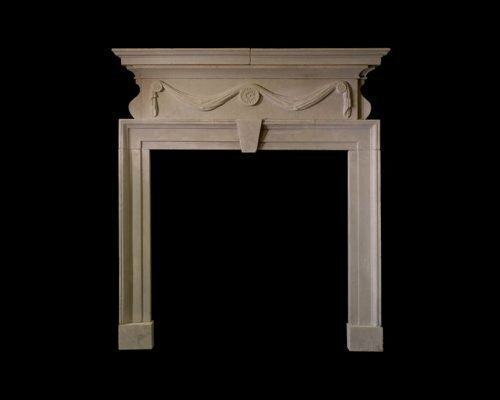 Louis XVI chimneypiece carved in Blue Tarquin Marble. The mould shelf is supported on a paneled frieze over boldly scrolled consoles terminating in Lion paw feet. Please note this antique is held at Chesney’s New York. 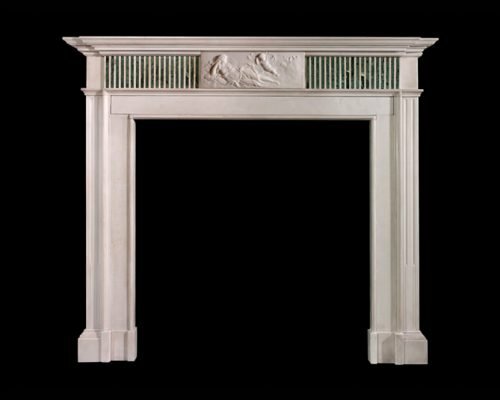 An elegant cheminee dating from the Regence period incorporating attractive carved elements within the cornice and trumeau panel and with a conforming cartouche to the centre of the supporting frieze. 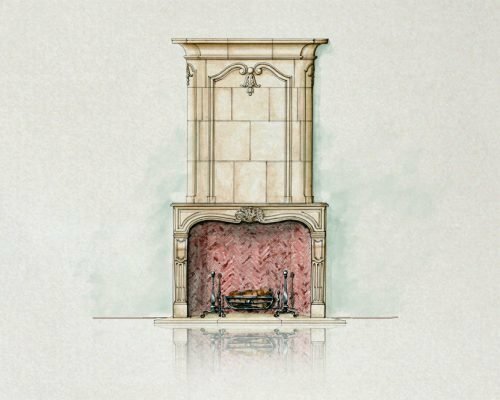 Georgian stone chimneypiece with drapery swagged medallions to the frieze and side facing corbels. 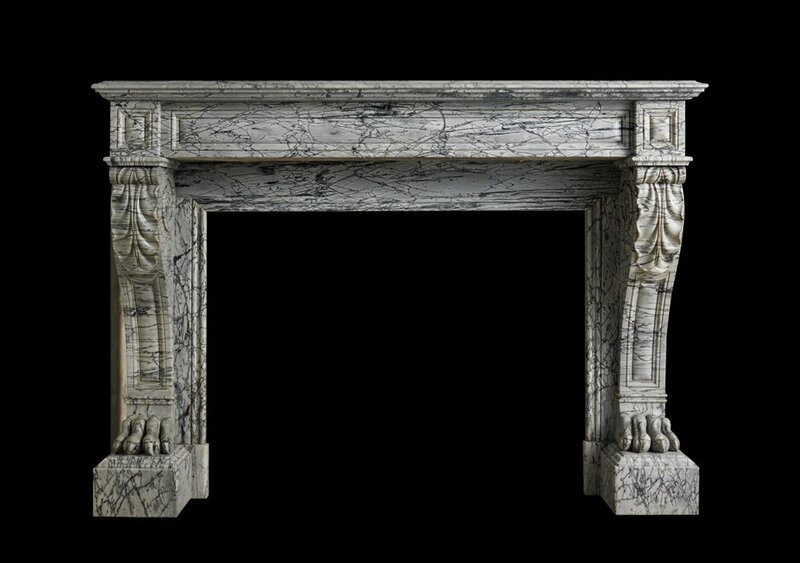 A Statuary and Verdi Antico marble 19th c.